I’ve been passing out samples of my newest bottled water company I’m drinking. Waiakea Hawaiian Volcanic Water. Days later I’ll get responses like, ‘that water you gave me is really good!’ It IS good and I’m excited to tell you more about it. Waiākea volcanic water originates in Hawai’i through both snowmelt and rain on the pristine peak of the active Mauna Loa volcano- one of the purest environments on Earth. Their water is naturally filtered through thousands of feet of porous lava rock which enhances it with life sustaining minerals before finally emerging as delicious and pure volcanic water. um, did you read that paragraph? If not, go back and read it. SO cool. Magnesium ~ regulates transmission of nerve impulses, body temperature, detoxification, and energy production. Calcium ~ atrengthens bone structure, teeth, and cell membranes, ensures nerve and muscle impulses are properly transmitted, and helps prevent blood clotting. Potassium ~ aids in the proper flow of flow of fluids and nutrients in cells, helps the brain, nerves and muscles function correctly, and plays an essential role in the breakdown of amino acids and carbohydrates. Sodium ~ is an essential factor in hydration as it holds water in the cells. It also helps send nerve impulses, and is needed for all muscle contractions. Silica ~ providing the answer to healthier, younger looking, more radiant skin, hair, nails while promoting good bone health. In fact, studies show that drinking 10 mg/day of silica in water can reduce the risk of Alzheimer’s by 11%. 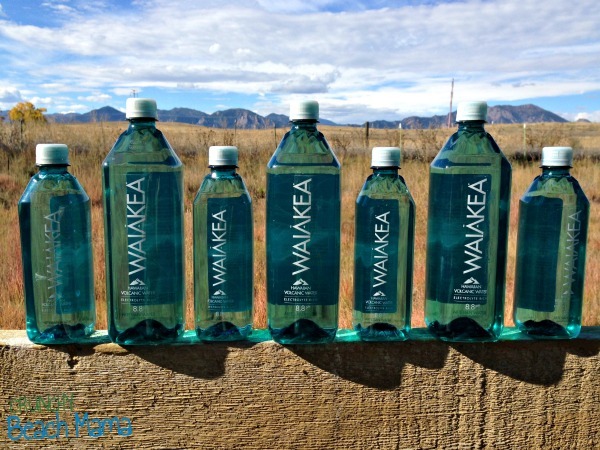 Waiākea is one of the most alkaline natural waters in the world – no artificial processes, no decreased pH over time. According to the The Journal of the International Society of Sports Medicine, individuals who drink alkaline water have an improved acid-base balance and hydration status compared to regular tap water, as well as increased bone density to help reverse Osteoporosis. Did you know that water could do all of this?! 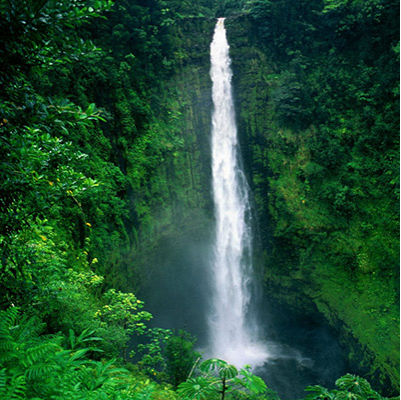 Their environmental initiatives include using one of the most sustainable fresh water resources in the world, using only 100% RPET bottles, utilizing low emission shipping, and actively participating in regional carbon offset programs- all of which have led Waiākea to be the first Hawaiian bottled water to be certified CarbonNeutral. For every liter of Waiākea you buy, Waiākea donates 650 liters of clean water to those in need in Africa and throughout the world, through our incredible partner, PumpAid.org. You can find Waiakea Hawaiian Volcano Water on Amazon! WIN a case of Waiakea Hawaiian Volcanic Water! This product has been sent to me complimentary for my review. Links may be affiliate and all opinions my own. Would absolutely love to try this!! I would love to try this product; sounds great! YES, I am so very thirsty!! And YES, I would LOVE to try this water!! My son is always buying the new and better bottled water and I would LOVE to win this for him and surprise him with one that he has never heard of. Thanks for the giveaway!! I am thirsty all the time and I would love to give this water a try. Thank you. I have never been to the Islands and I think this might be as close as I ever get. I would love to try it..
Based on what's naturally in this water it seems like it would be especially good for people with mood disorders! I really want to try some now! I'd love to try it, hoping to win. I am very sensitive to the taste of water, most people say they can't taste anything in the water, but I can. Very interested to see what this unique water tastes like! Mahalo! I would love to try it. You are right, I do want to try it. I only drink bottled water and this has me curious about it's taste. When I take my first sip, I hope it transports me back to Kauaii where hubby and I vacationed many moons ago. Sounds tasty and refreshing! since i've never been to hawaii, i'd love to taste this water! I like that it has a Naturally Alkaline 8.8 pH. I really love fresh tasting water, this would be awesome to try out. I've never heard of this product before. I would be happy to win and try before buying. This bottled water sounds intriguing, I didn't know there was any bottled water that was good for you. I'd love to try this! I love that this company donates water to places in Africa that need it. I've never heard of this brand of water. I am thirsty and would LOVE to win so I can try out this wonder sounding water! yum!! Thank you! I would love to try this! Not only to try the drink but also the bottle looks awesome! how about a nice Hawiian punch if i dont win? sounds awesome! Might help me get more water throughout my teaching day! That sounds great! I need something to make me believe I'm in Hawaii! I'm very curious to see how this tastes. Thank you for the giveaway. I cant wait to try a different kind of water and the last time I had different was Perrier. Volcano water that is cool. I have never heard of this Waiakea bottled water before. I love that they donate water to the people in Africa. I love trying new waters! Yes, I am thirsty...I live in the desert. :-) Thank you for a wonderful giveaway. Yes, I am thirsty and I would love to try this new brand of water. Thank you for sharing this post. I need water like this as I have magnesium and potassium deficiencies and my leg muscles are always achy. One can only eat so many bananas in a day. This looks so helpful. This sounds amazing! i gotta win! I love that this is one of the most alkaline natural waters in the world. This water seems super healthy and the benefits top its competitors. I'd love to try this water. It sounds so delicious and nutrtitional. Yes, I really want to try this water! i would really the to try it! This would be great, we drink a lot of water. This sounds really clean. We drinks lots of water. That water looks so refreshing! I would love to try it! Thanks for the chance! I never tried water from a volcano before, it would be interesting to try. I know my family, and grandchildren will have to try it too, bless their little hearts! I've never heard of this water. Sounds interesting. Would love to try! I just ate a salty soft pretzel with cheese, so yes, I am thirsty and this sounds good! I love the stylish bottles and the name of the product is also very enticing. I would love to try. Thanks for the shot! I have never heard of this water before but I would love to try! Looks very refreshing! I am thirsty and want to try it !! It sounds super interesting. I really want to try this water! I have never been to Hawaii, but everything about it intrigues me!! Being a Diabetic, I am always thirsty & have water with me all the time. I haven't tried this water before. I'm thristy for it already. THIS WATER LOOKS REALLY REFRESHING. Winning this water may be the closest I get to my dream Hawaiian vacation! Would love to taste test!!! love to try it out I always take water when out walking. I have certain tastes for water.There are brands that I like and some not so much,or at all.I would love to win this water. Wow - sounds wonderful and delicious. This looks interesting! Have never heard of it, but am definitely always willing to try something new! I would really LOVE to try this! Thanks for the chance!! It definitely sounds worth trying! i am so ready to be a winner! I'd be interested to try this water. It looks like something you'd pick up at an upscale hotel. I'm very interested to try the water, and it's wonderful that they donate water to underprivileged places. my fav water is Icelandic Glacial Water. I'd like to see how this compares. I think it would be very refreshing to drink Waiakea Hawaiian Volcano Water, would love to be on the island enjoying it but it would be very refreshing to have here in Oklahoma and I can close my eyes and imagine that I am in Hawaii, watching the volcanic eruptions and drinking my water on the beach.. . This looks like a really great product. Loved your review too! I've never had water from Hawaii. I'd like to try it! I had never even heard of this water. I looks amazing! Magnesium is important...count me in! I would love to try this since I have tried it before. I enjoying trying out new things to see if I like it or not. This would be a great product to try out. Oohh, I want to try this! I wasn't aware of all the health benefits of lava rock filtering. Thanks for the information. I would definitely be interested in trying this. Thank you for the giveaway!! Volcanic water intrigues me, would love to try! I'm interested in the benefits of drinking alkaline water! I do want to try....thanks! We drink a lot of bottled water in our home - but this looks and sounds like it will be amazing!!! thank you for the chance! Oh yeah, I would love to try it! I'm really excited to try this water after reading about it. I knew that there were enhanced waters out there but nothing like this that naturally has all of the incredible benefits. To top it off, they're a company that gives back. Fingers crossed- thank you! You are right, I am pretty thirsty! I would love to try!!! Love to try this amazing water! volanic water! hmmm i do want to try it to see what it tastes like! This sounds awesome and I would love to try it. 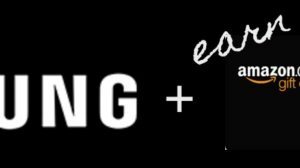 Love the benefits of it. I love trying new kinds of water. I would love to try this, it sounds wonderful. You know us so well, even in weather getting colder every day we need to stay hydrated. There was a time when a few different 'waters' cited glacier origen and they were all the rage. Thanks for the review on a water from HI. It will sort of be like visiting the islands. This is one of my favorite blogs to follow! This product is new to me and I would love to try it. I would like to give this a try to see if it tastes any different than other bottled water.